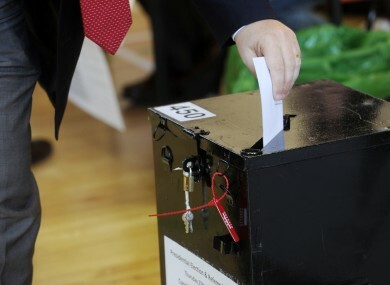 Tánaiste Eamon Gilmore has said future Saturday votes will depend on the turnout in next week’s referendum. Do you support holding votes on Saturdays? TÁNAISTE EAMON GILMORE has said that whether or not more votes will be held on Saturdays in future will depend on turnout in next week’s Children’s Rights Referendum. The referendum will be the first time that a vote has been held on a Saturday since the second vote on the Nice Treaty in 2002. Proponents say that a Saturday vote allows students and people working away from home time to travel to cast their vote. Opponents say Ireland already has a higher-than-average turnout compared to other European countries and that changing the day will make no tangible difference. What do you think? Should future elections and referendums be held on Saturdays? Email “Poll: Should voting in elections and referendums be held on Saturdays? ”. Feedback on “Poll: Should voting in elections and referendums be held on Saturdays? ”.